The Galtee Sessions – Presented by Therese McInerney. Saturdays from 8pm to 10pm on Tipp FM. Listen back to recent shows below. Click “Up Next” to chose from a section of past shows. “Therese McInerney is a fiddle player, singer and composer from Miltown Malbay. She performs and teaches music regularly throughout the year, and released her debut solo album “Down the Strand” during the summer of 2017, which she recently launched at Newport Trad Festival, Tipperary. In January 2017, Therese received a First Class Honours Degree in Traditional Irish Music Performance from the University of Limerick. During her years studying law in University College Cork, Therese presented her own Traditional Irish Music radio programme, which she won a National Student Media Award for Irish Radio. 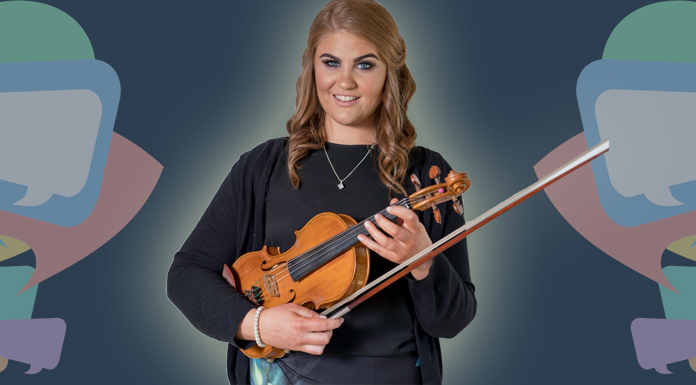 Since then she has been working freelance, producing several Traditional Irish Music shows for Irish TV and Radio including “The Fleadh Cheoil”; “Gradam Cheoil TG4” and “The West Wind” on Clare FM. Therese is really looking forward to hosting “The Galtee Sessions” on Tipp FM, “There’s a wealth of talent in Tipperary and I’m really excited about sharing the music, song and story tellers as well as highlighting and promoting our musical heritage and I’ll be encouraging the listeners to contact me and tell me what they would like featured on the show”.